Contact Chrome Cherry: Design and Innovation! 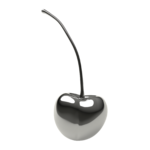 Chrome Cherry: Design and Innovation ..
You may experience a slow response from Chrome Cherry: Design and Innovation as they have marked themselves as unavailable at the moment. Return to browse freelancers.